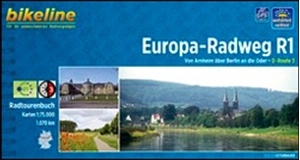 A 1030-km long cycle route from Arnhem in the Netherlands across the Harz Mountains to Berlin and on to the Oder presented by Verlag Esterbauer in a guide with maps at 1:75,000 showing the route and its variants. Extensive information is conveyed by symbols, indicating road surface, campsites and other accommodation, repair workshops, recreational facilities, places of interest, etc. A list of various types of accommodation facilities is included. IMPORTANT - PLEASE NOTE BEFORE ORDERING - ALL THE TEXT IN THIS TITLE IS GERMAN ONLY. 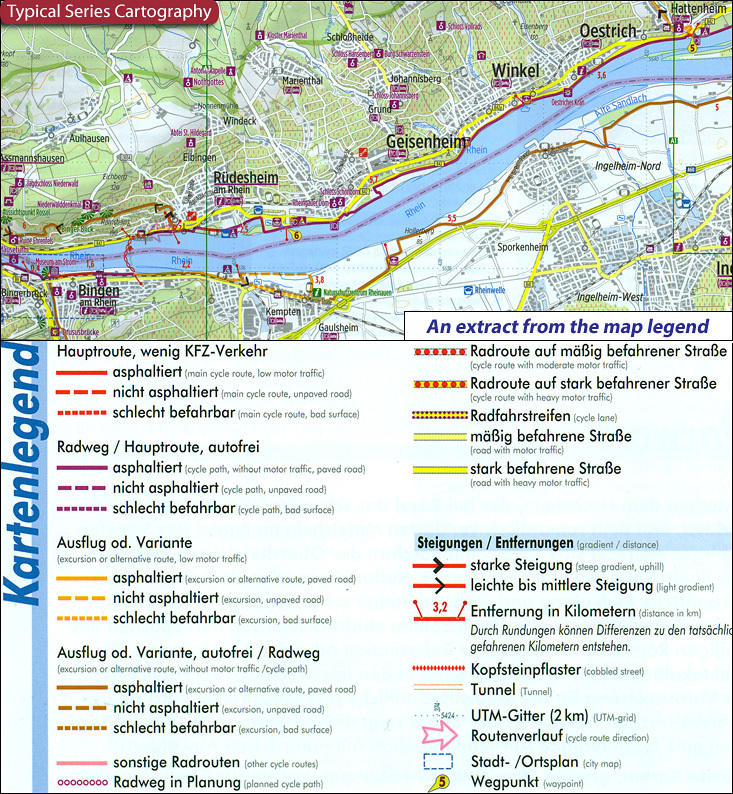 MAP LEGEND INCLUDES ENGLISH (please see our sample image) and the information provided on the maps is sufficient to use this title without any knowledge of German. ABOUT THE BIKELINE SERIES: all the titles have been meticulously researched and are highly regarded in their native Germany. Most titles, as indicated in their individual descriptions, also include a separate section listing selected accommodation, from hotels to campsites, youth hostels and rooms in private houses, all with addresses, telephone numbers and price range. Information on towns along each route includes a list of places of interest, with opening hours, etc. Several of the guides also have street plans. To see the list of other titles in the Bikeline series please click on the series link. Iron Curtain Cycle Route Part 3: German/Czech Border to the Black Sea (3300km) Bikeline Ma/Guide ENGLISH Ed.